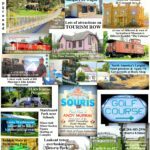 Souris Railway Museum Inc. | Presenting some of the finest Railroad displays and articles this side of the Souris river! 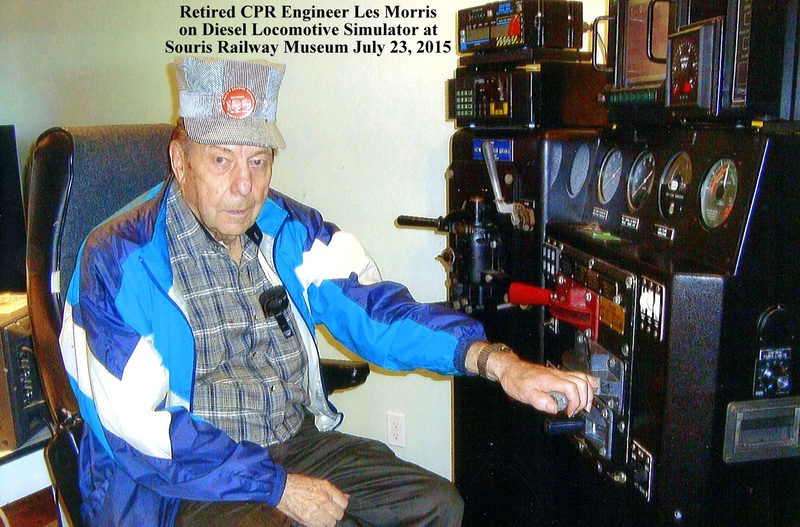 Presenting some of the finest Railroad displays and articles this side of the Souris river! 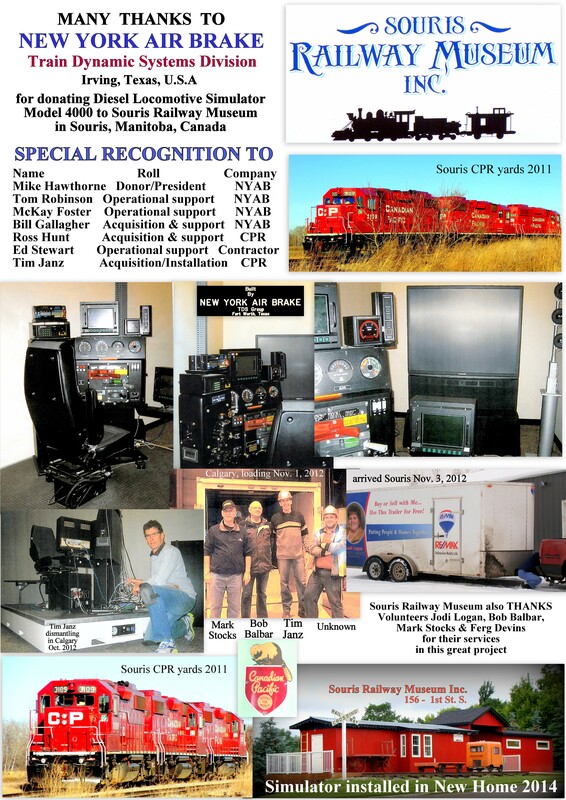 Welcome to the official website of the Souris Railway Museum Inc. Located in the pretty little town of Souris, Manitoba. 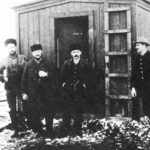 HISTORY OF SOURIS RAILWAY MUSEUM INC. 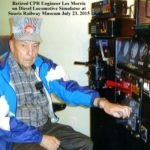 In 2006, Keith Marley of Minnedosa, a former Souris C. P. R. telegrapher was travelling around searching for railroad memorabilia. He discovered a lot of artifacts in his hunt. 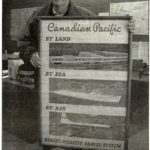 Originally his intention was for this collection to go to the Minnedosa Railway Museum, since they were in possession of the C. P. R. station and Keith had worked as a telegrapher in that station at one time. However, the Minnedosa Committee seemed to be stalled with their project. Keith was anxious for action. 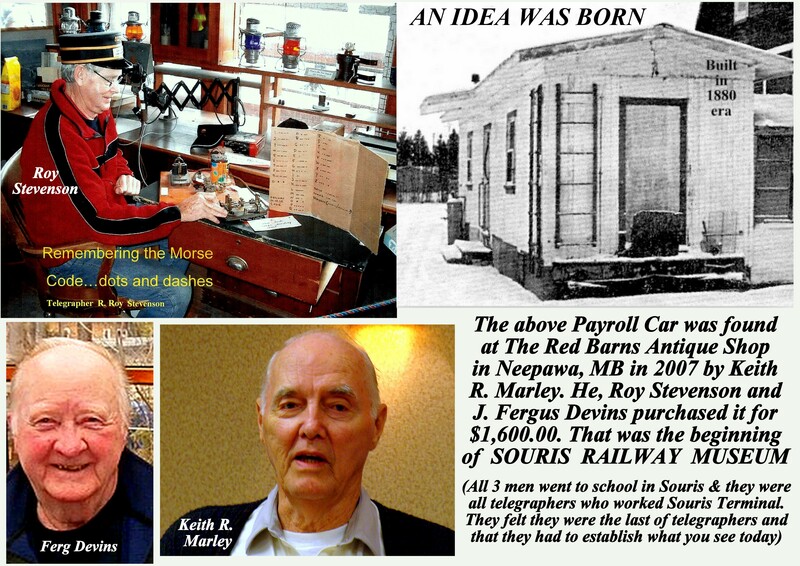 Shortly after, he discovered an old railroad payroll car in behind the “Two Red Barns” antique shop in Neepawa. It was in rather decrepit condition. 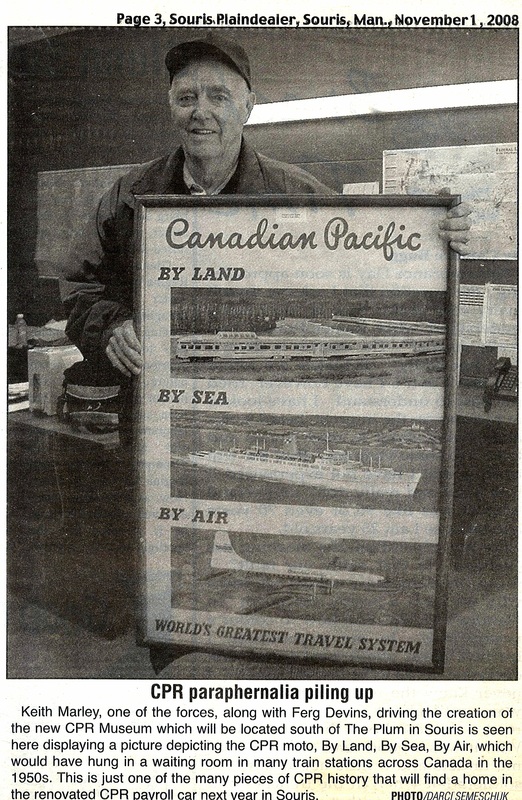 He contacted Roy Stevenson and Ferg Devins and the idea was born. 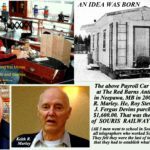 “Could we transform this old car into a Railway Museum in Souris?” Keith, Roy and Ferg, former telegraphers in Souris, felt they had to spearhead this project or else this would become a lost part of Souris history. After much searching for a site, Souris Town Council offered vacant property at 156-1st St. South in Souris and the result is what you see today. A nice little jewel, and a tourist attraction for our town. And more interesting features are yet to be added. An ad hoc committee of interested citizens, along with former railroaders and descendants of railroaders, have proudly financed and worked on this project. Donations have come in from Ottawa to California and many points in between, for which the committee is thankful. Also private interested citizens, local businesses and Service organizations have contributed. Without this help the project would have failed. 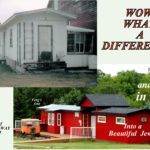 To date the cost has been over $40,000.00. We have netted approximately $12,000.00 in fundraising events, and will need more funds as we progress with future exciting plans. Anyone interested in donating please contact Ferg Devins at 204-483-3361 for information. 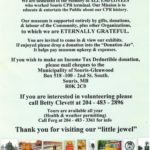 A tax deductible receipt is available. 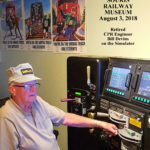 In 2015 we replaced our exhibits, with collages depicting pictorial histories including the Roundhouse, The “Rip Track”, the Station, the history of Souris terminal, The story of how the “Non-Op” Railroaders obtained the 40 hour work week for Canada. 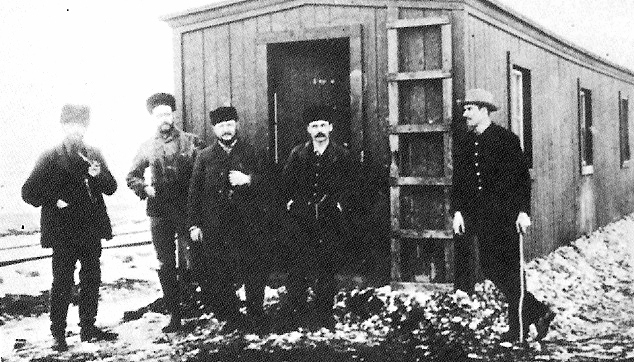 almost identical (on the exterior) to Calgary’s first railway station. This car is over 100 years old, with the original metal underframe, sitting on cement foundation. Many artifacts have arrived from the most unlikely donors. We have 26 original train orders dated 1891 and 1892. A time table from 1895. (Very scarce articles.) In fact, these may be the only ones in existence today. These articles are safely kept. Other items of interest are Secretary’s minutes from The Order of Railroad Telegraphers, dating as far back as 1907, and Order of Railroad Trainmen Secretaries original minutes from Souris terminal in the early 1930’s. This project also plans a library and it will be a place for future generations to research railway facts and history. This museum held an “Open House” on June 11th, 2011 and was fully operational in August 2011. We expect to run from July to September each year. Admission by donation. Volunteers are required as hosts/attendants. So if you want to help, please call Betty Clevett at 204-483-2896. Private showings may be arranged with Ferg Devins at 204-483-3361. 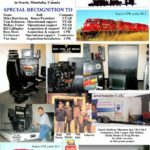 In 2014 we installed a diesel locomotive simulator. This item was donated to us by The New York Air Brake Co. of Fort Worth, Texas. It was formerly leased by the C.P.R. in Calgary, for the training and testing of Railway Engineers. 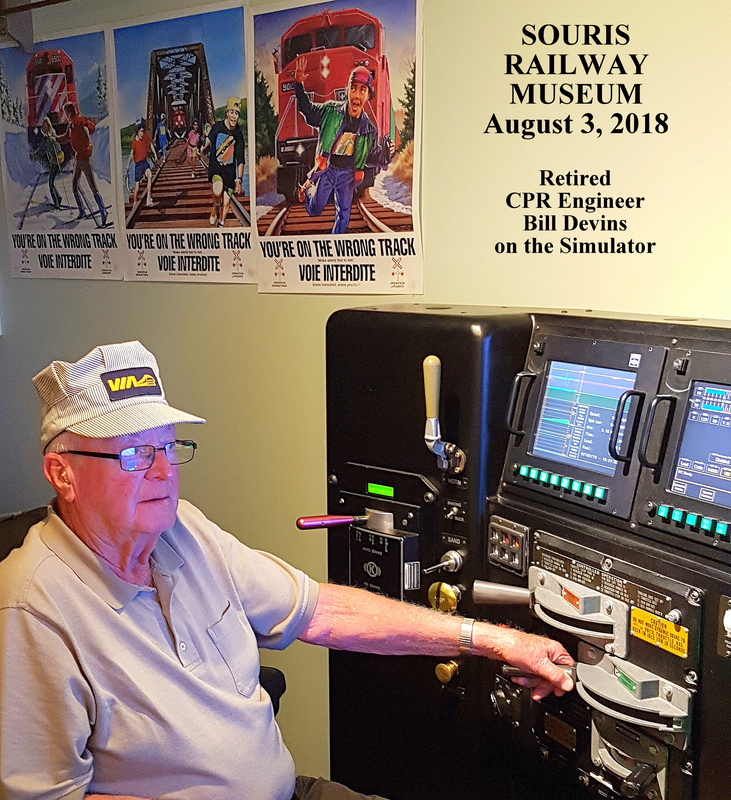 Tim Janz, of Calgary, (formerly from Souris) was an instructor on this simulator, and is responsible for obtaining it for Souris Railway Museum. It is partially working now, and we hope to have it in full operation soon. We are told that there are only two of these operational machines existing in museums in Canada. The other one is in Revelstoke, B.C. In 2018 we replaced Simulator model D4000 with newer model D5000, which was donated to us by New York Air Brake Company, for which we are gratefully appreciative. Presently we are attempting to add different programs, with more variety. The Simulator is available year round (health & weather permitting). You must contact us at 204 – 483 – 3361 and make an appointment at least 2 days in advance. We take groups of 3 for a 30 minute run, for $20.00, or group of 2 persons for $15.00, or 1 person for $10.00, and this also includes a tour of the main museum as well. 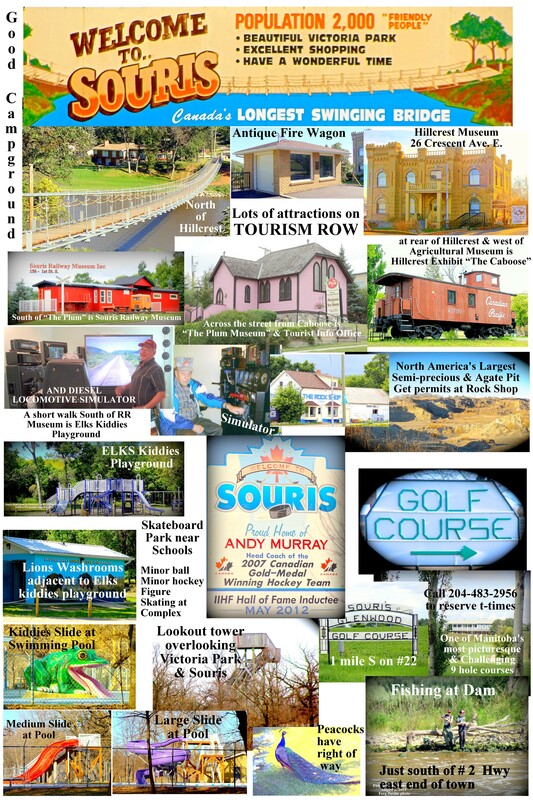 Souris has many “Great Attractions” including Canada’s longest Suspension bridge. 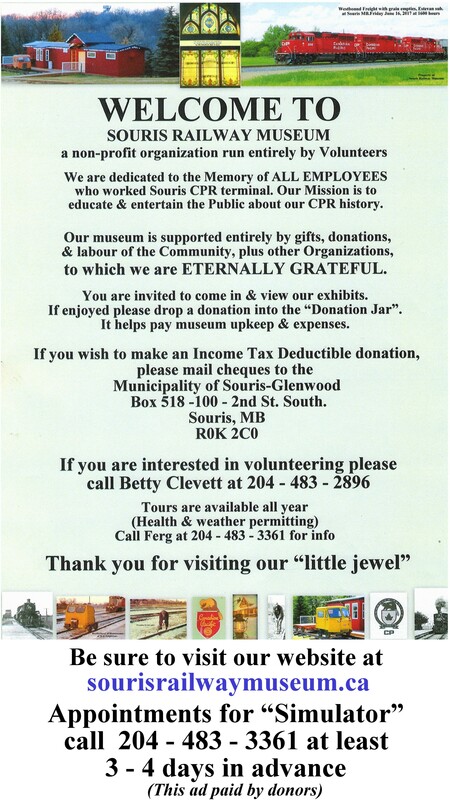 The largest agate and semi-precious stone pit in North America, Souris-Glenwood Golf Course, (one of the most picturesque and challenging courses in Manitoba), 3 museums, namely Hillcrest with an Agricultural Museum and a CPR Caboose, The Plum, and the Souris Railway Museum, all within walking distance of each other, an Art Gallery (newly opened 2015), beautiful natural 50 acre Victoria Park, with a sheltered Campground, Swimming pool (with 3 slides), Kiddies playground , Bird sanctuary, Lookout tower overlooking the park & town. In 2015 a group of volunteers built a dandy skateboard park, northwest of the schools. Fishing at the dam in Souris River is available also. There are many other interesting sites and eating places, and a few fine murals by local artist Ruth Martin. 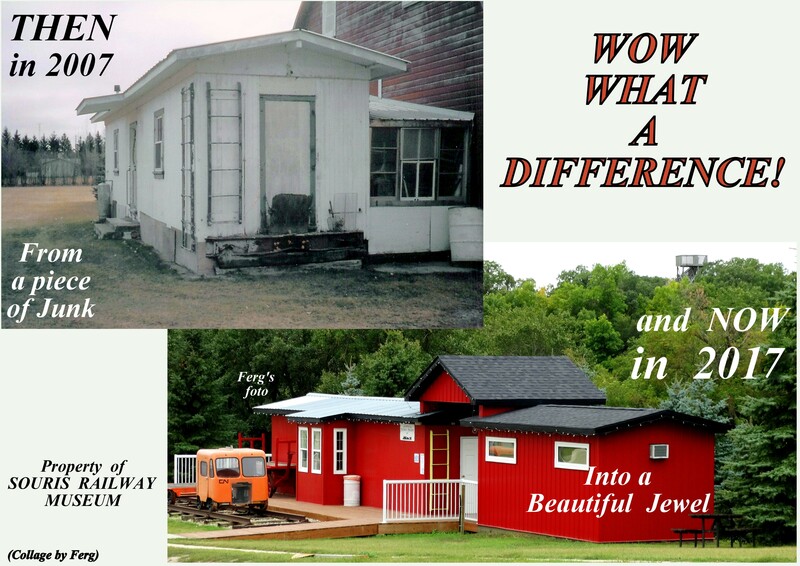 We have come a long way since our idea of The Souris Railway Museum in 2007. Open from July 1 to Sept 3 2018 Including Holiday Monday's on long weekends.